With the Site down until yesterday due to hackers getting in and drinking all the beer, I have didn’t get chance to put up the latest conbini monday article. 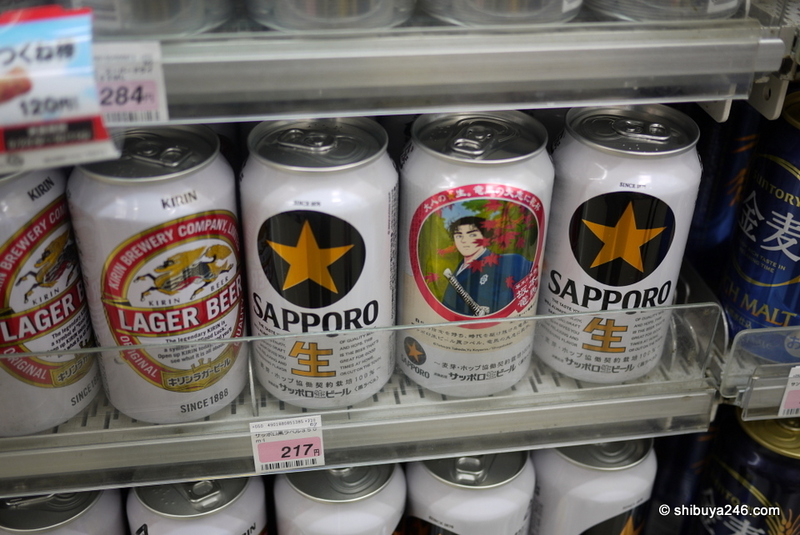 Here are all of the pictures I took at conbini stores while I was away for the week in Shikoku. There are more photos than usual due to being on the move and keeping the camera close at hand. I have changed to an iPhone4 from today so next week the quality of the conbini monday photos should improve as well. How do you like your potato chips? With some chocolate topping? More pottery on display here. You can buy anything at the convenience store! 1g = 1 yen. I think I can afford 50 grams! You eat the leaf as well? God I miss the combinis of Japan! The ones in the US are garbage by comparison. That hot food section looked damn good. I remember Dororich, it was already available last year in October. I tried one, and yes, interesting is the word that defines best the experience. It’s basically fruit-flavored jelly cubes with creamy milk. Nice pics, waiting for the IP4 quality test. Sure that’s handy for quick posts. Have you tried the suntory premium malt’s? It really gets my attention. yes, I gave that a go. Tasted pretty good! Wow! Ponzu flavoured chips would combine some of my favourite flavours. I drooled when I saw those. I have tasted chocolate coated potato chips before and they were an interesting combination but a bit sickly after the first two or three. That was a great post thanks and I thoroughly enjoyed the pics you showed us on your trip and the array of different beers you came across.